The creators of ‘Red Range:Pirates of Fireworld’ discuss the sequel to a 1999 graphic novel by Joe R. Lansdale and Sam Glanzman. The miniseries Red Range: Pirates of Fireworld, currently being kickstarted for a summer release, is a sequel to the graphic novel Red Range. Originally published in 1999, the book by Joe R. Lansdale and Sam Glanzman was reprinted with new colors recently. The first volume was a dark western tale, which ended with the hero and the boy he rescued falling into the hollow earth, a place filled with dinosaurs and other creatures. The final page of the book teased a sequel, but nothing ever came of it – until now. Written by Keith Lansdale and drawn by Jok, who colored the reprinted edition, they’re picking up where the original left off in this miniseries. Lansdale has written comics including Crawling Sky, Vampirella: Feary Tales, The X-Files: Case Files and Creepy. Jok has drawn many comics over the years including Strangeways, The Hill, Freud’s Covenant, Mixtape and many others. I reached out to ask the two a few questions about the book. It’s Alive! has launched a Kickstarter to bring another of Sam Glanzman’s classic World War II tales back into print. Battle for Britain tells the story of the Royal Air Force defense of the United Kingdom against large-scale attacks by Nazi Germany’s air force, the Luftwaffe — one of the first major campaigns fought by air forces. The original story was published in 1961 in an issue of Combat. Along with a fully restored main story, this new edition will feature a four-page back-up story titled The Puny, Little Yank, along with black and white photos from WWII, a new essay about Glanzman, an essay about the Doolittle Raiders, vintage ads that were in the original issues, the original cover art by Glanzman, a new standard cover by Glanzman and a new variant cover by John McCrea. Check out the two new covers below, and visit the Kickstarter page for more information. Sam Glanzman (1924-2017): Navy veteran and and Eisner Award-nominated comic artist Sam Glanzman, 92, passed away July 12. Over the span of his 75-year career in comics, Glanzman worked for Marvel, DC Comics, Charlton, Harvey and Dell, among others, on titles like G.I. Combat, Sgt. Rock, Hercules, Jonah Hex, Fightin’ Army, Savage Tales, Semper Fi, Zorro and Kona, Monarch of Monster Isle. 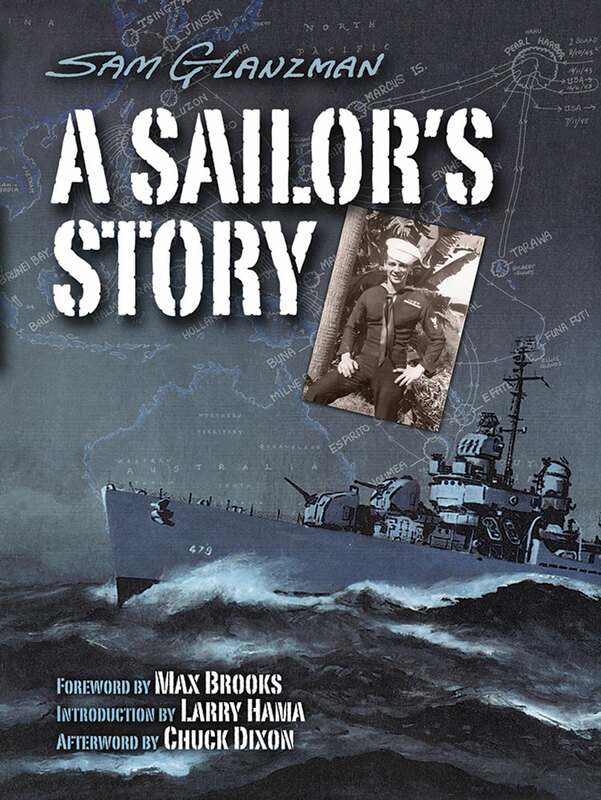 Marvel published his A Sailor’s Story graphic novel in 1987, a personal account of his time on the U.S.S. Stevens during World War II. A sequel followed. New stories about his time on the U.S.S. Stevens appeared in DC’s Joe Kubert Presents six-issue anthology limited series, and those stories, along with the two volumes of A Sailor’s Story, were collected in U.S.S. Stevens: The Collected Stories, which is nominated for the Eisner Award this year. A successful Kickstarter campaign to bring Red Range, a story drawn by Glanzman and written by Joe R. Lansdale, recently wrapped up.